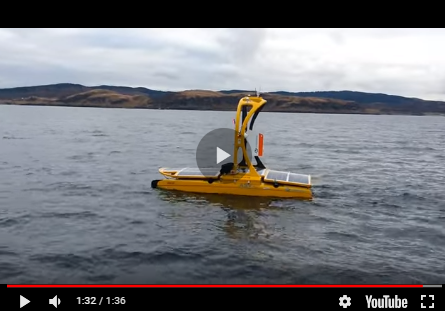 Kongsberg Maritime has unveiled its new Unmanned Surface Vehicle (USV) during Ocean Business 2019 last week. The Sounder USV System is a versatile solution designed and built to provide the highest possible standard of data acquisition the company stated when demonstrating the new system in Southampton. The Sounder USV System is a multipurpose platform designed to work across different market segments, including survey and fishery duties. It has been developed as a joint venture with Norsafe AS. The system has been configured from the keel upwards to deliver optimal hydroacoustic data quality, efficiency and productivity. Operation of the USV is managed by KONGSBERG’s K-MATE autonomous surface vehicle control system: capable of following survey patterns, autonomously following AUVs or simply tracking a mothership, the K-MATE system has been developed in partnership with FFI, the Defense Research Establishment in Norway. It provides autonomous, supervised and direct control capabilities that are compliant with the latest safety regulations and operational guidance in the USV industry. Key to the Sounder USV System’s appeal is the fact that it can be equipped with a selection of Simrad sensors including SX90 and ES80 fishery sonars as well as KONGSBERG EM2040 multibeam echosounders for mapping and HiPAP positioning and communications systems for LBL (long baseline) and AUV (autonomous underwater vehicle) support. Other sensors can also be integrated, while rapid payload change can be affected as both the moon pool in the base of the hull and the 19” rack hardware are removable. KONGSBERG was displaying a replica of the Sounder USV System on its stand at Ocean Business 2019 held last week at the National Oceanography Centre, Southampton. More information: www.unmanned-survey.com.